From: Office of Dean Chamberlain (SDV), CEO Mischler Financial Group, Inc. Consistent with Mischler Financial Group’s annual initiative to commemorate Memorial Day and honor those who made the ultimate sacrifice while serving in our US military, this year we have dedicated a percentage of the month’s commission revenue to two organizations that are near and dear to our hearts and minds. As we have done in prior Memorial Day and Veterans Day observances, Mischler is pleased to continue our support of Army Ranger Lead The Way Fund, the non-profit dedicated to raising funds to support disabled U.S. Army Rangers and the families of Rangers who have died, have been injured, or are currently serving in harm’s way. As part of our May 2017 profit pledge, Mischler is equally proud to support the American Cancer Society via our sponsorship of the ACS 12th Annual Financial Services Cares Gala, which will be held June 22 at the New York Hilton Hotel. This year’s gala, which is expected to raise more than $1 million, will pay tribute to former KPMG Chairman & CEO Eugene O’Kelly, who passed away from cancer in 2005 and whose estate remains an ardent supporter of ACS cancer research grants. Each of us here at Mischler, whether personally, through family members and/or friends and acquaintances are all-too-familiar with cancer’s devastating impact. Our support of the ACS is a testament to the crucial work it performs via research grants and assistance to patients undergoing treatment and their caregivers. As the month of May pledge kicks off, on behalf of the entire Mischler team, thank you in advance to our sales/trading desk counterparties across the investment industry and the many Fortune 500 treasury teams we work with for your ongoing support of our mission. Veteran-owned Broker-Dealer Mischler Financial Group, Inc. (“Mischler”) was established in 1994 and is positioned as a boutique investment bank and conflict-free institutional brokerage. A fully-certified minority broker-dealer, we were the first FINRA member to be designated as a Service-Disabled-Veteran-Business Enterprise (SDVBE). 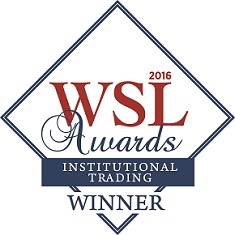 Today, Mischler is recognized for its role as a leading capital markets boutique operating within the financial market ecosystem. We maintain offices in 8 major cities and we are staffed by more than 50 securities industry veterans. Mischler provides primary debt and equity capital markets underwriting (DCM and ECM) and agency-only, best execution across the secondary market for global equities and fixed income securities. In that role, we also serve Fortune corporate treasurers in the course of their issuing new debt and equity offerings and administering their respective corporate share repurchase aka 10b-18 programs. Further, Mischler provides cash management for government entities and corporations, and asset management programs for liquid and alternative investment strategies.